CBS Sunday Morning featured the fabulous mural art of Richard Haas. The wonderful illusions created by tompe l’oeil or “trick the eye” techniques have always fascinated people. Seeing Haas’ work is a reminder of how skillful an artist must be to create such realistic scenes. 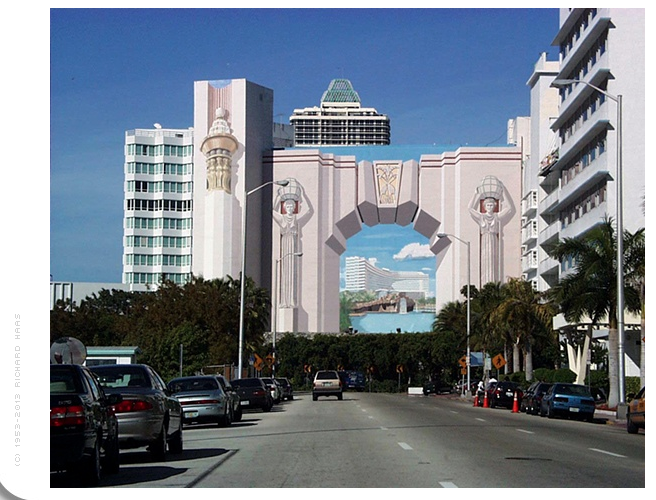 Years ago as a medical sales rep in Miami, I frequently drove past Haas’ iconic mural on The Fountainebleau Hotel at Miami Beach. Each time I saw the mural I was fascinated anew. There really was a temptation to drive right through the mural it is so realistic. 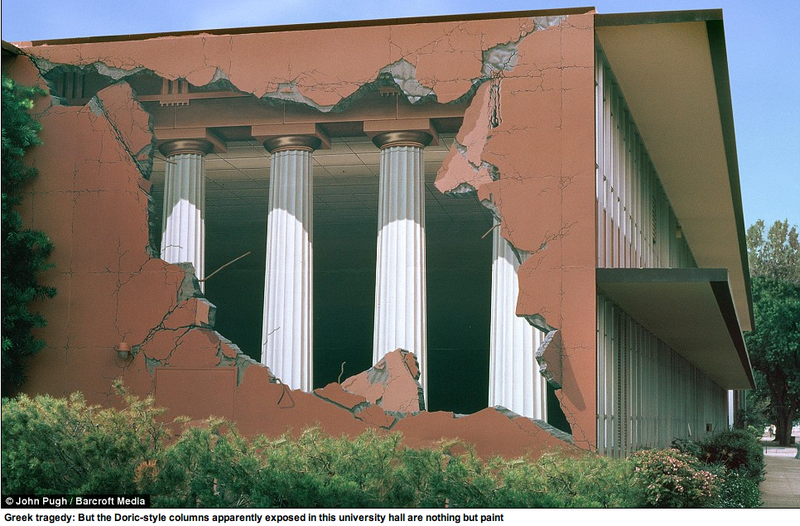 Trompe l’oeil artist John Pugh, quoted by The Daily Mail says, “It seems universal that people take delight in being visually tricked.” Pugh is right. There is a magnetic fascination in these realistic murals. The urge to get up close and try to figure them out is irresistible. The Daily Mail has some excellent examples of Pugh’s work. Pugh tells the story of how one of his murals of an earthquake attracted the attention of the Fire Department while driving by the mural. They stopped the truck and were about to attempt to rescue the children in the mural before they got close enough to see that it wasn’t real. The firefighters doubled over laughing at the realization. Why do these purposely, deceptive artworks hold such fascination? Likely there are a number of reasons. One reason Pugh believes is the sense of civic pride the murals invite. Communities love their local eye fooling multi-story artworks. And the murals are wonderful. A source of civic pride is one explanation but there is also something much deeper to the fascination. The deeper allure appears to be the simple fact that people enjoy being fooled. The greater the deception, the greater is the pleasure for the viewer. The role of the artist is to show the world something it may not have seen before. Possibly all art is eye deceiving in some form. But the Trompe L’oeil artist is particularly skillful at eye-trickery. There is an element of amusement and playfully purposeful deception in Tromp L’oeil that is not present in most other forms of art. The Trompe L’oeil artist takes delight in tricking us and we take delight in being tricked. This eye foolery is all in good fun and we love it! This entry was posted in art, art education, art news, artists inspiration, creativity, drawing, knowledge, Painting, Uncategorized and tagged Arts, Daily Mail, John Pugh, Miami, Mural, Richard Haas, Trompe-l'œil. Bookmark the permalink.